The most urgent issue is not necessarily always the most important one. Good to know. 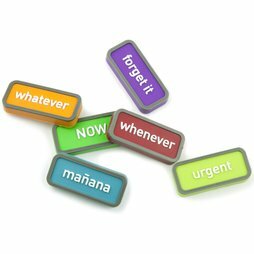 These time management magnets support your scheduling. Today - and not tomorrow. Besides your magnetic scheduling, you can also compliment, inspire and motivate in German and English.